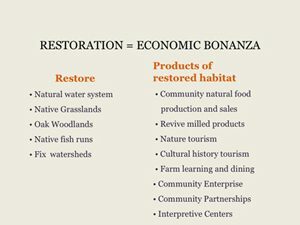 and economic sustainability by advancing natural and cultural history education, and organizing for community conservation. Where each sip takes you to a place like no place on earth. Two day tour of the natural & cultural history of California’s magnificent Central Coast and the amazaing wines of its seven spectacular wine appellations. Circumnavigate Santa Lucia coastal range – now including an ATV ride into spectacular Santa Lucia highland vineyards. 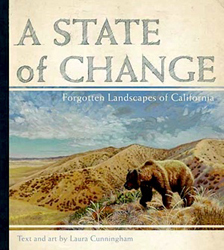 Our work was written about by Laura Cunningham in her landmark book, State of Change. 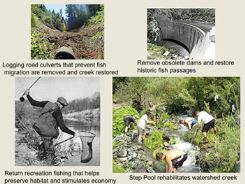 Pelican Network worked with native people in the Klamath River watershed, and established the Klamath Restoration Council. 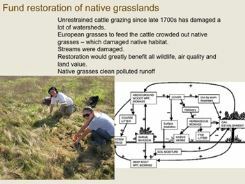 Our mission: restore and protect the uniquely diverse ecosystemand promote the sustainable management of natural resources in the entire Klamath River watershed. We believe this will be accomplished with actions and legislatin that integrate sound and proven techniques based on tribal knowledge, local experience and the best of Western Science. A frontier of learning how humans can live with nature. 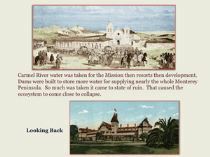 Where California’s Parks and Eco Tourism movement began. 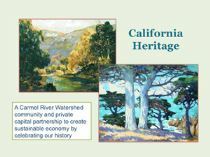 Coastal community grassroots proposal to complete the California Coastal Trail through Big Sur – the most challenging component of the California Coastal Trail. Coastal Redwoods in their southern habitat are distinct and in dangerl. Evolving uniquely in rare geologic conditions, making a rainforest in what would be a desert, these redwoods have always had steep challenges. But now, because of poor forest management, they are deeply threatened by fire. Don McQueen is part of an effort to rewrite the forest management plan. A citizens’ group is forming to help the Big Sur River which is in peril from too much human use. 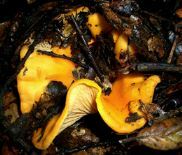 Proceeds from the 2008 Big Sur Chanterelle Cook Off provided funds to help create Stewards of the Big Sur River. Many hundreds of thousands of Monarch Butterflies fly 2,500 miles in an arduous one month journey to arrive in Central Coastal California each fall with a great purpose.. Contact me about joining a Big Sur Wine Expedition. 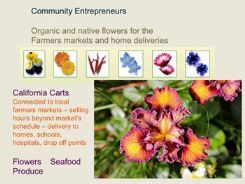 Celebrate the unique wonders of Big Sur and the wonderful cuisine here. Chefs compete for a good community cause. Add me to the PelicanNetwork email list for cultural and natural history news and events. A trail is slowly being blazed along the California coast from Mexico to Oregon. And now, the California Coastal Trail &emdash; a route being created for ambitious backpackers as well as local hikers &emdash; is making its way through Monterey County. The coastal trail is being created in a spirit similar to the one that built the Pacific Crest Trail, a 2,650-mile route that connects Mexico to Canada while passing through California, Oregon and Washington, and the Appalachian Trail, which stretches more than 2,000 miles from Georgia to Maine. The 1,200-mile coastal trail will not be as long as the Pacific Crest or Appalachian trails, but nailing down the route through the state’s more developed and more protected coastal areas is a big challenge that may take a long time. 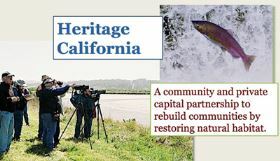 Voters passed Proposition 20 in 1972 recommending a coastal trail system be established and in 2001 state legislation called for the trail’s completion, and the state is now blazing its route through the Central Coast. 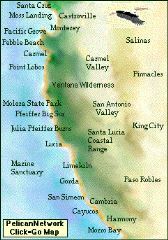 The county’s portion of the trail is divided into two major sections: the Big Sur Trail and the Monterey Bay Sanctuary Trail. The Big Sur portion is about 75 miles long, from San Carporforo Creek &emdash; near Ragged Point in San Luis Obispo County &emdash; to the Carmel River. A coalition of Big Sur residents is doing the master planning to ensure that the trail is acceptable to the community. Jack Ellwanger is leading the Big Sur residents committee for the coastal trail. The Transportation Agency for Monterey County is organizing the 20-mile portion of the trail around Monterey Bay. Currently there is no plan for a trail section through Carmel and Pebble Beach, said Tim Duff, a project manager for the state Coastal Conservancy. The Pebble Beach Co. does not have an official stance on the prospect of the trail passing through the privately owned Del Monte Forest community, said Mark Verbonich, company vice president of community affairs. “Nobody (company) has had any contact about the California Coastal Trail project,” Verbonich said, adding that Pebble Beach allows public access along 17-Mile Drive for cyclists and pedestrians. The Big Sur committee will work with residents in six different areas to craft particular sections of the trail. It will have to work with private property owners, but an inclusive approach to the trail planning should address their concerns, Ellwanger said. 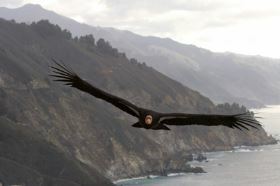 The 7,000-acre El Sur Ranch is one of the biggest pieces of private property on the Big Sur coast. Owned by Jim Hill, the ranch covers 11 square miles next to the Point Sur Lighthouse. Hill supports the trail, but since Highway 1 and the Old Coast Highway already pass through his property, he is opposed to another public route through the ranch, said Aengus Jeffers, Hill’s attorney. “The ranch is firmly opposed to any effort to establish a new public right-of-way through the ranch,” Jeffers said in an e-mail. Part of the coastal trail will use existing paths, such as hiking trails and segments of Highway 1 or the Old Coast Highway, Potter said. “But that’s nebulous,” Ellwanger said. He said the trail would go as far inland as necessary. So the trail could go around the El Sur Ranch and other private coastal property by veering inland on already-established hiking trails, Ellwanger said. The entire coastal trail, which is about half completed, remains a long-term project. “We’re looking at 20 to 30 years,” Duff said. The county transportation agency has a 15-year plan and a $27 million cost estimate to complete its segment along the bay. The Big Sur section has no timetable.